Main Characters: Duncan, The different colored crayons. Short Synopsis of the Story: One day during class, Duncan goes to opens his crayons and discovers a stack of letters with his name written on them. Each of his crayons has written him an individual letter airing their grievances regarding Duncans usage of that particular crayon. Duncan in an effort to please each and everyone of his crayons draws a beautiful picture incorporating all the colors of his crayons. Favorite Part of the Story: The beautiful picture drawn in crayons at the end of the book is perhaps the highlight of the story. All the colored crayons mentioned in the previous pages makes a special contribution to the picture which is characterized by wild animals, sea creatures, boats, wizards, locomotives, and even a special appearance from Santa Clause himself! Of special interest are the green sea, the yellow sky, orange whale and other anomalously colored entities. 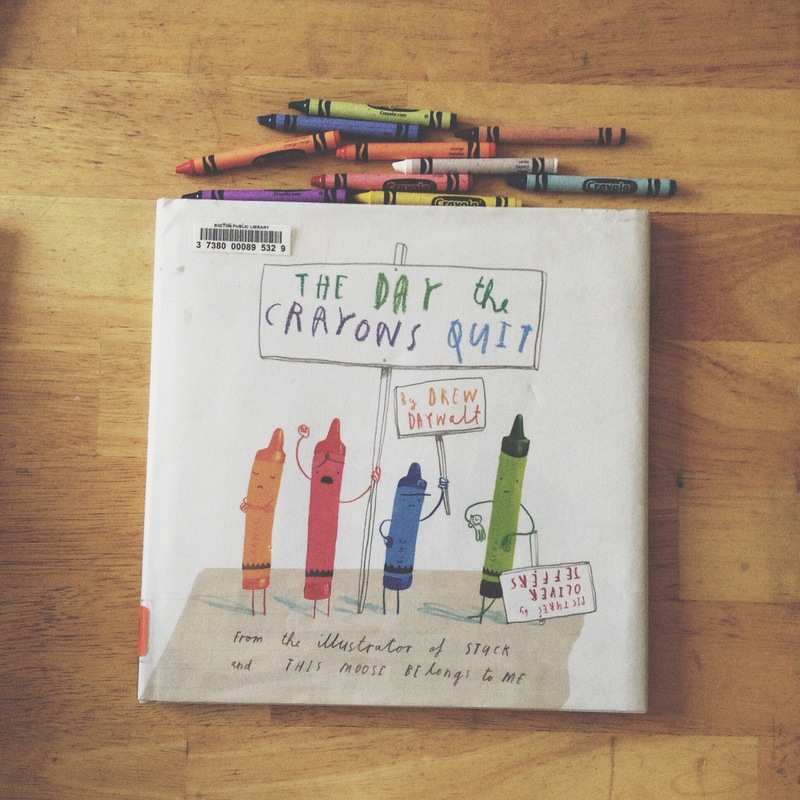 My three year old listened with fascination to the individual stories each of the crayons had to tell, the descriptions and pictures of the characteristic objects that the particular crayon in question is used to illustrate. For example red is used to draw apples, strawberries, fire engines and Santa’s costume. It is a nice lesson in color for small children, and a visual treat for children and adults. Moreover, it reminds us that artistic creativity knows no boundaries. We have the artistic license to paint green seas, orange whales and pink sea monsters.